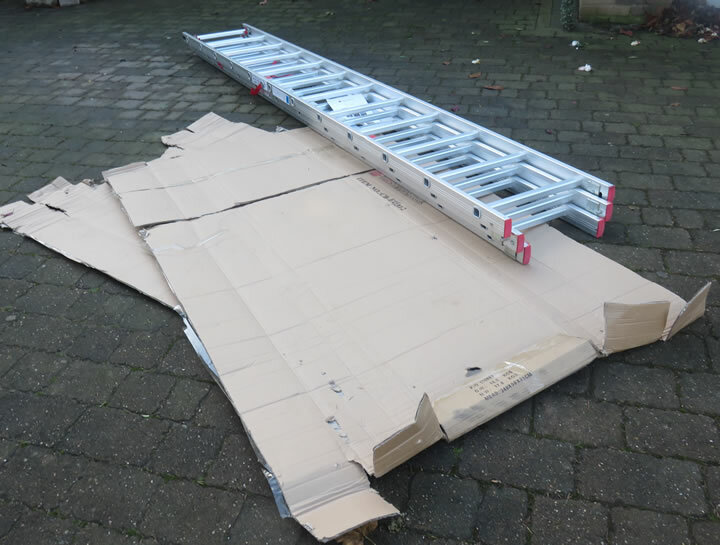 Convinced by a whole host of guarantees on trueshoppings website such as a 30 day money back guarantee, I went ahead and clicked the buy button on a 12 rung triple set of extension ladders. The delivery slot was all day - 9am, to 5pm, the ladders eventually arrived at 6pm. The ladders were well packaged in a large card board box that took some time to open without ripping the card to shreds. An initial morning inspection quickly revealed a large dent in the side of the ladder frame which I immediately informed True shopping of. Some hours later I attempted to use the ladders for the first time which revealed a second significant fault with the ladders. My impressions where that the metal was too soft or too thin for the size of the ladders i.e. 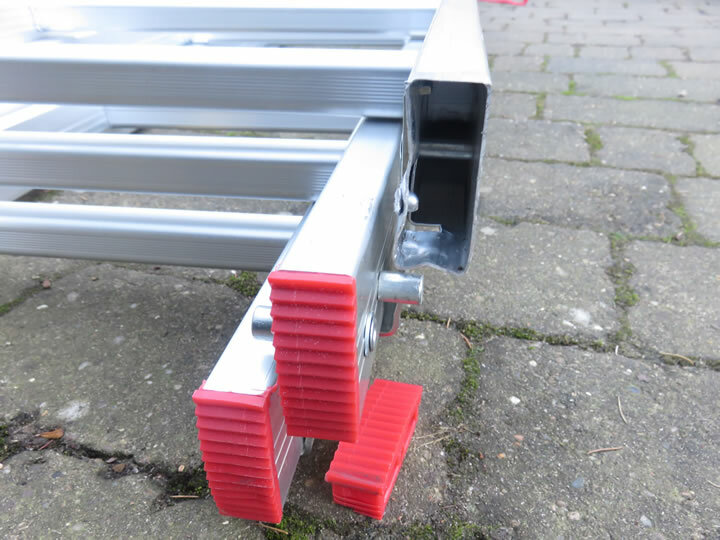 12 rungs appeared to be beyond the capability of the frame to support the stresses of, so in my opinion instead of 12 rungs the material was more suited to a max size of 8 rungs. Therefore I had little confidence in actually attempting to use the ladders so on the same day contacted Trueshopping.co.uk and requested that the ladders be returned for a full refund as I deemed them to be not fit for purpose. After several messages using the trueshoppings online messaging system, I was eventually informed that the ladders would be collected on Day 11. Great! 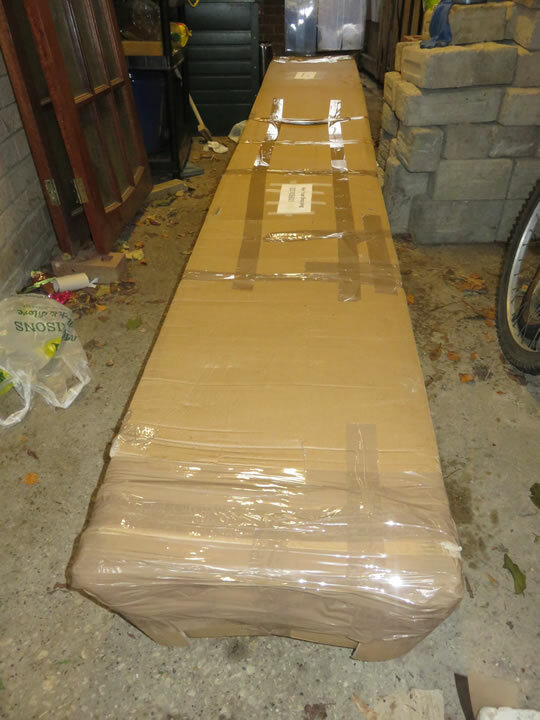 Now I had quite a job at hand at repackaging the ladders back into the large cardboard box which took near 1.5 hours to achieve. Despite waiting all day, no one bothered to turn up to collect the ladders. I was assured by True shopping that the ladders would definitely be picked up today. But No, no pick up today either, another wasted day. Another wasted day waiting for True shopping to collect. With winter fast approaching I had gone ahead and purchased a second set of ladders from elsewhere which were delivered today which meant that I now had two sets of triple ladders. However this time I had done my research and gone for BRANDED HAILO ladders that were backed up by lots of online reviews. Now all I needed was some good weather to test the new ladders and for Trueshopping.co.uk to collect their ladders. Finally, a further EIGHT messages later Trueshopping.co.uk replied early morning stating that the ladders would be collected TODAY. And this time they were true to their word as a van pulls up within a couple of hours to collect the Ladders. I gave the driver a hand with the collection. Relief that the ladders were gone, so now I have finally been released to carry on with normal daily business. Now before you scroll any further try and guess what happens next ? We'll within a couple of hours another van pulls up to collect Ladders for Trueshopping.co.uk whilst I was out, and my wife was only aware that I had been waiting and waiting for ladders to be collected for some 10 days so directed the driver towards where the ladders had been kept and so Trueshopping.co.uk proceeded to remove my SECOND set of HAILO ladders purchased from elsewhere! The next day I went to try out my new HAILO ladders to only realise what had happened. I contacted Trueshopping.co.uk and informed them that they had made two collections on Day 18 so not only took their Ladders back but also my new yet to be opened HAILO ladders as well and I requested that they be returned as soon as possible. Trueshopping had failed to respond to any of the messages since Day 19 with regards a refund or the missing second set of HAILO ladders. I also contacted DX Freight directly to chase them about the HAILO ladders and received a reply back to say they were looking into it. The HAILO Ladders were finally returned today which means I can get around to all of the maintenance tasks including put up the christmas lights a little later than I had planned to. 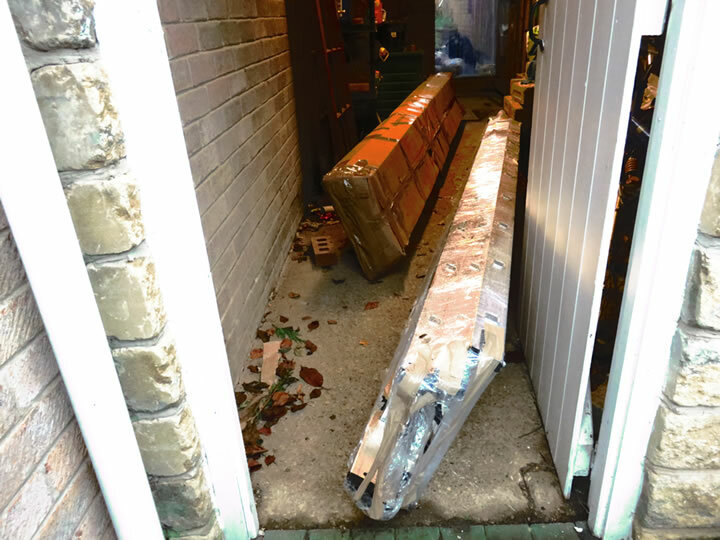 Whilst the packaging was mostly ripped apart, though this did not make any material difference to these good quality ladders which can easily withstand rough treatment. Additionally a full refund from trueshopping.co.uk materialised into my credit card account. 1. When shopping online stick to the likes of Amazon that are better able to handle problems. 2. Only buy branded products that have a large number of detailed reviews so that the products actually are fit for purpose. a. ensure they respond to customer queries far more quickly as ignoring customers for upto 10 days is far too long. b. retailers need to properly vet the courier firms they contract with as DX Freight rates at just 1.2 out of 10 on Trustpilot (https://www.trustpilot.co.uk/review/dxfreight.co.uk), so my bad experience was not an isolated incidence. 26 Nov 14, 20:11 Cheap ladders can cost you your life! Always buy the very best professional quality ladders. If you cannot afford that then get someone to do the job for you. 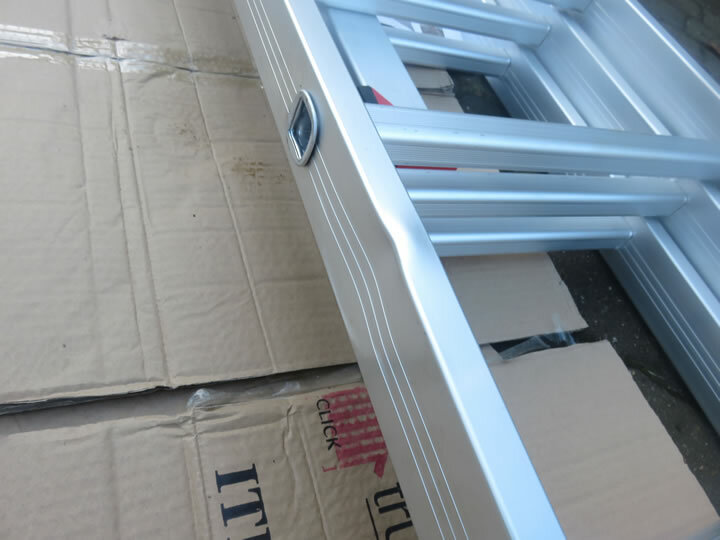 Those cheap ladders are truly horrific and no professional tradesman would use them, because they know that you are taking a big risk due to their flimsy construction and instability.